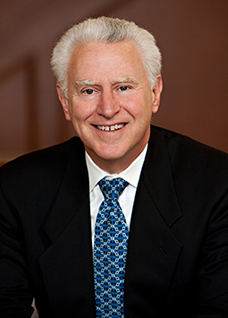 Michael Tushman holds degrees from Northeastern University (B.S.E.E. ), Cornell University (M.S. ), and the Sloan School of Management at M.I.T. (Ph.D.). Tushman was on the faculty of the Graduate School of Business, Columbia University, from 1976 to 1998; he was Phillip Hettleman Professor of Business from 1989 to 1998. He has also been a visiting professor at MIT (1982, 1996) and INSEAD (1995-1998). Professor Tushman is internationally recognized for his work on the relations between technological change, executive leadership and organization adaptation, and for his work on innovation streams and organization design. He has published numerous articles and books including Winning Through Innovation: A Practical Guide to Leading Organizational Renewal and Change (with C. O’Reilly); Navigating Change: How CEOs, Top Teams, and Boards Steer Transformation (with D. Hambrick and D. Nadler); Competing by Design: A Blueprint for Organizational Architectures (with D. Nadler); and Managing Strategic Innovation: A Collection of Readings (with P. Anderson). Tushman teaches courses on managing organizations, managing innovation, and managing strategic change. At Columbia, he won the first W. H. Newman Award for excellence and innovation in the classroom. In 2005, Tushman was named Lecturer of the Year at CHAMPS, Chalmers University of Technology. Tushman has supervised many Ph.D. students, several who have won national awards for their dissertation research. Tushman is an active consultant and instructor in corporate executive education programs around the world. His clients have included: J&J, BT,Hewlett Packard, Agilent, GKN, Roche, Novartis, Pfizer, The World Bank, General Electric, BOC, Merck, Ericsson, Grand Met, Bristol-Myers Squibb, Xerox, GTE, ALCOA, Tele Finland, Anglo-American, IBM, Neste, Corning, and AT&T. Tushman has also worked with executive programs at California Institute of Technology, Berkeley, Nomura School of Business (Tokyo), Stanford, Chalmers University of Technology, INSEAD, Wharton, the Australian Institute of Management, and the American Electronics Association. Professor Tushman has also served on the boards of many scholarly journals including Administrative Science Quarterly, Management Science, Academy of Management Review, Academy of Management Journal, Strategic Entrepreneurship Journal, Human Relations, Journal of Business Venturing, Journal of Product Innovation Management, Journal of Management Studies, Organizational Dynamics, and IEEE Transactions on Engineering Management. Tushman was elected Fellow of the Academy of Management in 1996, and received the distinguished scholar awards in both the Technology and Innovation Management (1999) and Organization Management and Theory (2003) Divisions of the Academy of Management. His paper with Mary Benner won the Academy of Management Review’s best paper award in 2004. He received Honorary Doctorate of the University of Geneva in 2008. He has also served as chairperson of the Organization and Management Theory and the Technology and Innovation Management Divisions of the Academy of Management. He was senior advisor to the Delta Consulting Group and past trustee of IBM Credit Corporation. He was awarded the Academy of Management’s Career Achievement Award for Distinguished Scholarly Contributions to Management as well as the 2013 Academy of Management Review Decade Award for his paper with Mary J. Benner, “Exploitation, Exploration and Process Management: The Productivity Dilemma Revisited”. He is also the recipient of the 2013 Apgar Award for Innovation in Teaching.